If there's one thing celebrities love — particularly those in the Kardashian/Jenner clan — it's drumming up press. It doesn't matter whether what we're talking about is true or not; the point is, their names are on our minds, which can only be good for them, right? The youngest family member is already hip to this, obviously, as we found out when Kylie Jenner posted a photo of a sparkly diamond ring on her Instagram page on Christmas Day, sparking rumors that she's engaged to Tyga, her boyfriend of... well, a while now, anyway. Of course, Christmas is a popular holiday for proposals, but I think we all need to calm down a bit before we start picturing her in a wedding dress. Sure, some cultures/religions put engagement rings on the ring finger of their right hands, but in most countries in the Western world, the left hand. Jenner's ring is clearly on her right hand, people. This seems the biggest giveaway. Yeah, people get engaged and married at really young ages, but it's becoming less and less common for couples of any age to be tying the knot, let alone a super rich and famous one. After all, Jenner likely wouldn't agree to any kind of engagement (nor would her mother/momager, Kris Jenner) without a prenuptial arrangement anyway, so I don't think that's happening. It was discovered after Jenner's 18th birthday that the fancy car Tyga apparently bought her was actually paid for by Jenner herself. Uh... oops? The idea that because she had a boyfriend and it was Christmas that Tyga must have bought her the ring and they're engaged is a bit of a stretch to me. Chances are, Jenner treated herself, or someone in her family did. Are They Still Even Together? It wasn't so long ago that rumors that Jenner and Tyga had broken up were circulating online, and the fact that we haven't really seen them together in any recent pictures, on Jenner's Instagram page or otherwise, makes me wonder if they're still even in a relationship. Sure, they refuted the earlier claims that their relationship was over, but that's nothing new in Hollywood. Doesn't mean they're still together. Remember when everyone was sure that Nicki Minaj and Meek Mill were engaged, just because Minaj put up a picture of her wearing a massive ring and thanking Mill for it? Everyone was sure they were about to walk down the aisle, but Minaj shut that down soon after. Kylie Jenner knows we'll be talking about this, so it was a smart move, and a purposely vague one. 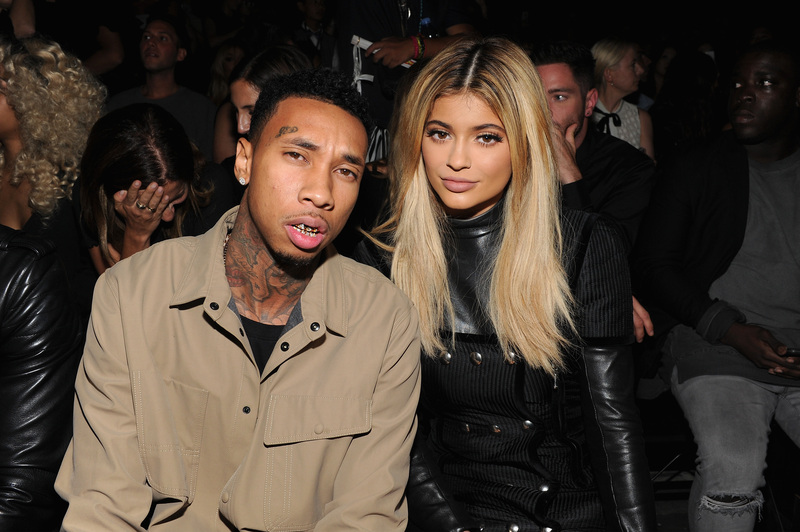 Unless Jenner and Tyga announce that they're actually engaged anytime soon, I'm calling B.S. on this one. Sorry, guys!